Print might be pegged as a boring industry but within the field there is plenty of versatility, especially in custom forms. Customization is a great tool for sales as customers generally respond well to the ability to manipulate their product. Whether it is padded, prescription or barcoded, custom forms take many shapes. Here are three of the most common types of custom forms for print distributors followed by the three most common forms of customization. 1. Padded forms: Padded forms, also referred to as scratch sheets, can take on many forms. Whether it be referral sheets, invoices or statements, padded forms serve as a great form of self-promotion often featuring prominent company logos at the top of the page. These types of forms come packaged like a notepad, where the pages can be easily ripped off and distributed to customers, fellow businesses or potential employees. 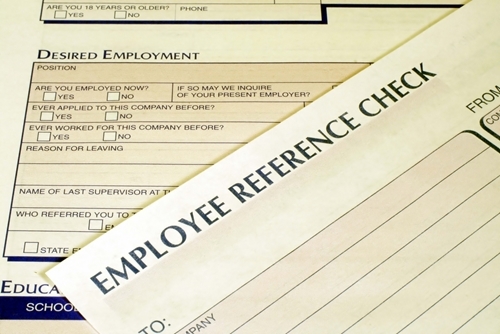 While many companies use these types of forms as memo pads, they can also function as stationery or as a supply of identical employee applications. 2. Prescription pads: Prescription pads, like padded forms, present themselves in a similar manner to a notepad with tear-able pages. However, unlike padded forms, prescription pads come with security features embedded in the paper. Prescription pads are created this way in order to qualify as tamper-resistant. This is mandated by the Centers for Medicare and Medicaid Services in order to prevent prescription fraud. While all printed prescription pads are required to exhibit security features that prevent copying, the modification of the written prescription and the general use of counterfeit scripts, print companies vary in the additional security measures they feature. For example, some printers offer unique watermarks that cannot be duplicated or reactive forms of paper that reveal attempts at altering the prescription. Each print company's prescription pads are distinctive and provide plenty of versatility for a variety of needs in the medical field. 3. Barcoded forms: Barcoded forms can be used for a handful of purposes, whether it be inventory, patient identification or service forms. Industries from auto to distribution need barcoded forms for day-to-day activities. The main feature of these forms lies in the printed and scan-able barcode. Forms can be detailed or simple, branded or plain. Barcoded forms are a great example of how digital technology and print technology have merged together to create more efficient products for an assortment of businesses. 1. Continuous forms: Continuous forms present themselves in a reel format. When manufactured, these types of forms are printed on one continuous roll of paper and only separated by a perforated edge. Continuous forms are great for image and overall brand identity as they are frequently used products and generally prominently display company logos. Purchase orders, bills of lading and statements are just a few of the types of forms that are typically printed in this format. 2. Thermal/UV printed forms: Thermal/UV paper is an option regarding the type of paper used for print forms. Thermal papers are known to create optimal quality in image reproduction when businesses request pre-printed documents. The thermal technology comes in the form of a colorless ink that coats the surface of a given print document. This ink activates the coloring in the pre-existing ink on the document for ideal image quality. Forms that commonly use thermal/UV paper are traffic citations, repair estimates and work orders. 3. Form unit sets: Form unit sets can apply to a variety of printed forms including checks, invoices and statements. These sets have few limitations for customization options but generally lack perforated edges and utilize some form of edge glue. Whether it be four-color process printing or carbon vs. non-carbon sheets, these types of sets are highly versatile and are ideal for handwritten forms or applications. These printed units are used for companies that require forms with multiple parts, such as invoices and applications that span multiple pages. Additionally, unit sets have a higher level of flexibility, allowing companies to change product sets from part to part. Print is a strong market; distributors just need to know where to look. What kind of businesses could benefit from the use of these types of forms? Seek them out. As we've mentioned before, print is a competitive industry. The distributors that continue to thrive have found ways to improve sales via targeting hidden markets and improved their sales techniques. Keep the versatility of these forms in mind and think out of the box when brainstorming potential customers. By the same token, companies should recognize the utility of paper products in areas such as marketing and branding. While print isn't the exclusive medium for effective marketing, it is still a strong channel to communicate your business's brand. Take advantage of things like business forms to prominently display your logo to customers and business partners. Strong branding on quality paper products can communicate an air or professionalism.